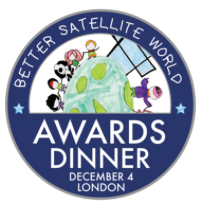 [Satnews] The SSPI’s first ever Better Satellite World Awards will be held this coming December 4th at the Reform Club in London. A momentous evening, in a momentous city, at a momentous time and a momentous venue. But why? Why now, why here? Why at this specific place and time? As an industry we are facing a growing problem: more than almost any other industry, we are focused on service delivery—providing the communications backbone for the entire human race 24/7/365, supporting every person and every economy in so many vital ways. Yet we are often so busy doing the work that we forget to take time out to reflect upon its impact upon the world. With some mild irony, as the satellite communications industry, we are sometimes not so good at communicating. We make the impossible look easy on a daily basis. We make amazing technical feats look commonplace. Our work is increasingly taken for granted. It’s easy to see the smart phone in your hand and to miss the vital service connection to the satellite 22,600 miles above your head. Out of sight, out of mind. This is a problem when it comes to decision makers appreciating and understanding our role as we increasingly fight for the spectrum, the very ‘life’s blood’ of our industry, as it is under threat and more. The Better Satellite Awards are a reflection of this, as we pause from our work to allow us to step aside for a moment to recognize those leading a new age for our industry and us all. Their role is to highlight the importance of our work and its vital necessity for the world’s economy and more. As an industry, as we have learned, after all, if we don’t speak for ourselves then no one else will. Also, we are the Society of Satellite Professionals International. It is only fitting that the Better Satellite World Awards find their home in London, the world’s great global city, increasingly home not only to a resurgent UK space industry, but more as the home to the largest gathering of satellite companies and interests in the world today. From finance and insurance to spectrum and manufacturing, more satellite companies are now choosing to work from the British Space Sphere (the UK, Isle of Man, Jersey, Bermuda, Gibraltar, and Cayman) than anywhere else in the world. London is home to the world’s satellite companies, and it is now home to the Better Satellite World Awards. 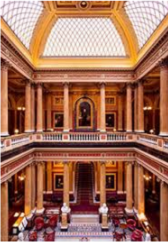 It is also only fitting that we hold this first event at the world renowned Reform Club in Pall Mall. Read more of Christopher Stott's article here.